The UN Convention on the Law of the Sea (LOSC) represents one of the most successful examples of multilateral treaty making in the modern era. The convention has 168 States parties and most non-signatory States recognise nearly all of its key provisions as binding under customary international law, including the United States. Nevertheless, there remain significant differences in interpretation and implementation of the LOSC among States as well as calls, on occasion, for its amendment. This book analyses the impact, influence and ongoing role of the LOSC in South East Asia, one of the most dynamic maritime regions in the world. Maritime security is a critical issue within the region, and it is separately assessed in light of the LOSC and contemporary challenges such as environmental security and climate change. Likewise, navigational rights and freedoms are a major issue and they are evaluated through the LOSC and regional state practice, especially in the South China Sea. Special attention is given to the role of navies and non-state actors. Furthermore, the book looks at regional resource disputes which have a long history. These disputes have the potential to increase into the future as economic interests and concerns over food security intensify. Effective LNG and fisheries resource management is therefore a critical issue for the region and unless resolved could become the focal point for significant maritime disputes. These dynamics within the region all require extensive exploration in order to gauge the effectiveness of LOSC dispute resolution mechanisms. 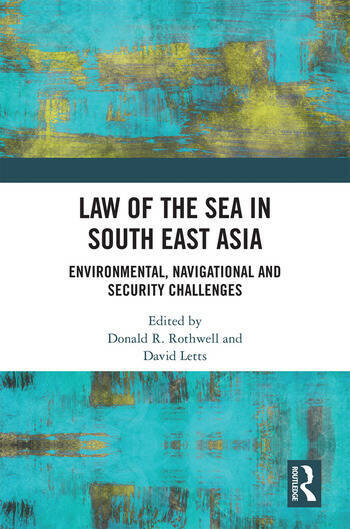 The Law of the Sea in South East Asia fills a gap in the existing literature by bringing together a holistic picture of contemporary maritime issues affecting the region in a single volume. It will appeal to academic libraries, government officials, think-tanks and scholars from law, strategic studies and international relations disciplines.